The village of Braies in the Braies Valley is well-known for its beautiful lake of Braies, next to the nature park Fanes-Sennes-Prags. The former therapeutic bath Bagnis di Braies Vecchia attracted year for year many visitors since the spring waters were stimulating the circulation and was nerve- strengthening; meanwhile the bath has been closed. Nevertheless one can enjoy the enchanting nature and appreciate a pleasant stay full of recreation and relaxation in Braies. 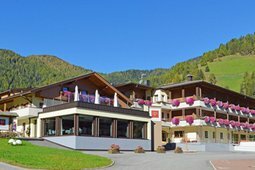 The Hotel Edelweiß aims to ensure the well-being of its guests and to uphold the long tradition of Tyrolean hospitality. Here you will enjoy unforgettable holidays in the South Tyrolean Dolomites, in an ambiance of Alpine architecture and understated elegance. The perfectly calm and sunny panoramic position, surrounded by woods and fields of Plaetzwiese, one of the most beautiful valleys, allows the guests to enjoy the purity of nature. 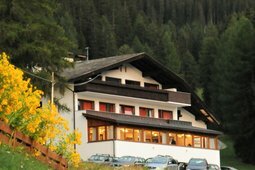 The hotel is located at the starting point of the most beautiful hiking trails in the Dolomites. 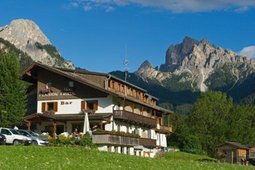 The Bruggerhof is a traditional alpine farmhouse situated in a tranquil position, 1,200 m a.s.l., surrounded by green meadows and located just 1 km from the center of Schmieden and 5 km from the picturesque Braies lake. 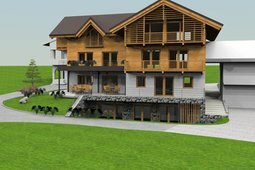 Five holiday apartments are waiting for your visit at the Waidacherhof, in the Prags valley in the Natural Park Fanes-Sennes-Prags, in the middle of an impressive dolomitic landscape and very near to the wonderful Pragser Wildsee (Prags' Wild Lake). On the sunny side of the beautiful valley of Braies, at 1,270 m above sea level, in this pension you will forget about the daily stress, noise and anxiety. A fortunate position, in the middle of fields and woods, with a beautiful view on Braies. Welcome to Prato Piazza in the Dolomites of Val Pusteria! This wellness hotel in South Tyrol in the middle of the Dolomites offers pure nature and many excursions starting directly from the Hotel Mountain Refugium Hotel Hohe Gaisl. It also has a wellness area inside the hotel. 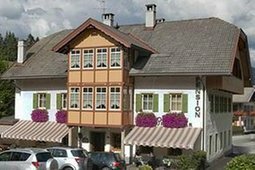 The Pension Friedl, a small family-run hotel, is situated in a very quiet position in the middle of the green meadows. The house is set near the woods, close to the cross-country skiing track of the ski resort Dolomiti Superski and in the heart of the Dolomites. 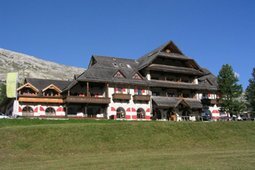 The Kameriot apartments are located in a very quiet position on the sunny Pragsertal (easily accessible at 1400 m), surrounded by the unique scenery of the Dolomites and picturesque forests. The house is ideally situated next to the ski slopes. Welcome to the Försterhaus where a rich breakfast and nice rooms with shower/wc are offered. The renovated house is situated in the valley of Braies and it is the ideal destination for a relaxing and unforgettable holiday in a family atmosphere. A familiar atmosphere, rich in traditions, and the typical Tyrolean tranquility that makes you forget your everyday life. For an active holiday, or simply a few days relaxing to unwind - in this idyllic mountain world each guest will find the perfect holiday setting.